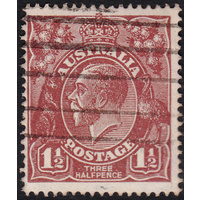 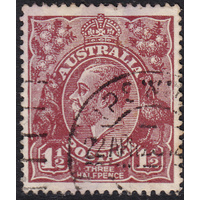 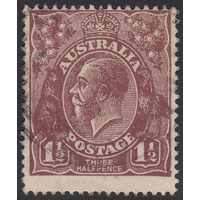 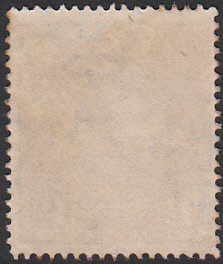 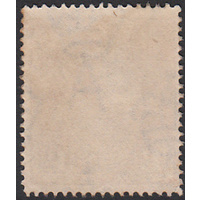 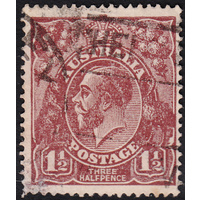 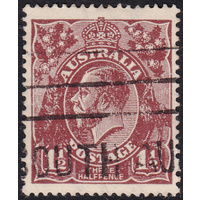 Australia KGV 1919, 1&1/2d Brown, Large Multiple Watermark, variety 5L8, First State, (Colour flaw in white border at bottom left corner) in Fine Used condition with no faults. 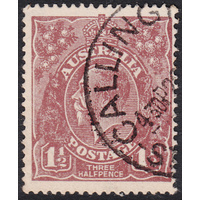 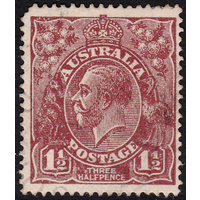 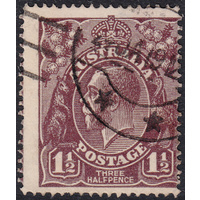 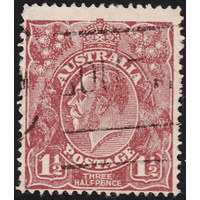 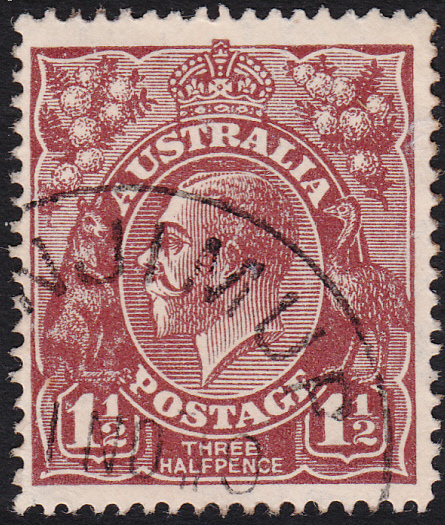 Reasonably centered with a circular datestamp cancellation (MANJIMUP? 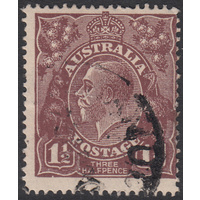 WA, 1st November, 1919) just clear of the variety. 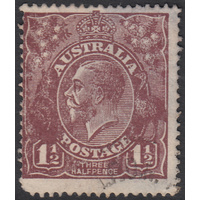 Bill Fiora identified two States of this flaw; in the Second State the colour flaw extends into the white border of the bottom frame. 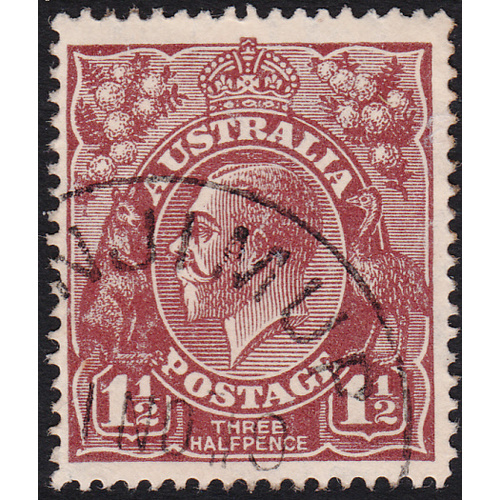 Lovely example!